Is poisonous and will eat smaller fish. Not recommended for classic aquariums. 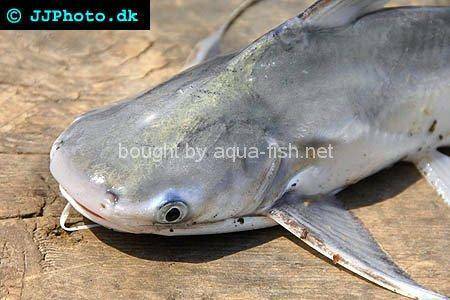 Gafftopsail Sea Catfish can grow up to 70 cm what is approximately 27 inches. 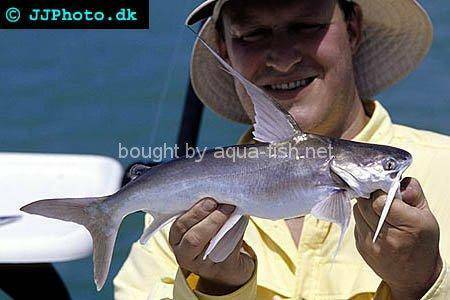 1 specimen basically needs at least 8400cm2 of water surface which is approximately 1302 square inch. We recommend you to keep it in fish tanks which are very large. (e) Medium aquariums have at least 113 Litres (30 US Gallons). Large aquariums have at least 265 Litres (70 US Gallons). Capacity of very large aquariums is at least 700 Litres (185 US Gallons). 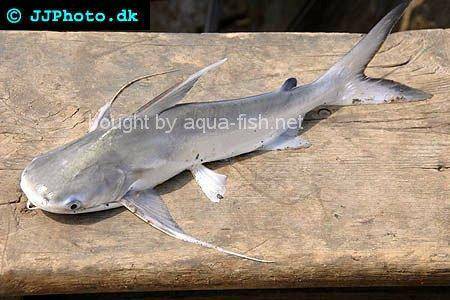 It is difficult to keep the Gafftopsail Sea Catfish. (e) Requires water between 10°C and 20°C. Salinity, pH and dGH can be as in other marine tanks/environments. Feel free to share your experiences regarding keeping Bagre marinus below. Every message will be held for approval by our moderators. It usually takes 24 hours to publish your comment. Before you ask anything, browse the questions page, please. 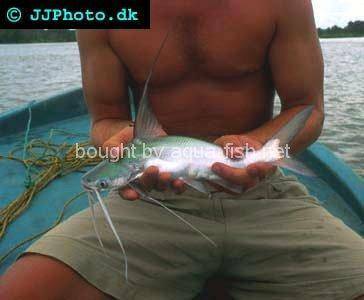 "Gafftopsail Sea Catfish." saltwater.aqua-fish.net. Wed Dec 5 14:36:05 UTC 2007. 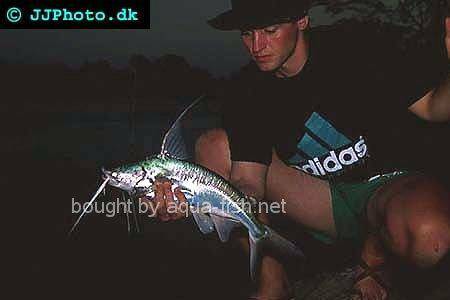 Aqua-Fish.Net. 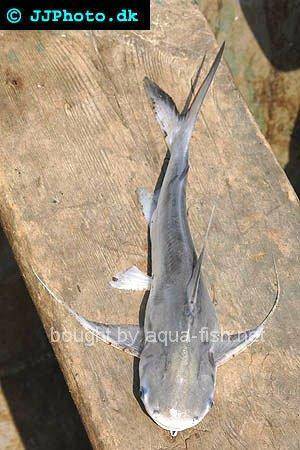 Wed Apr 24 20:51:09 UTC 2019 https://saltwater.aqua-fish.net/?gafftopsail-sea-catfish.